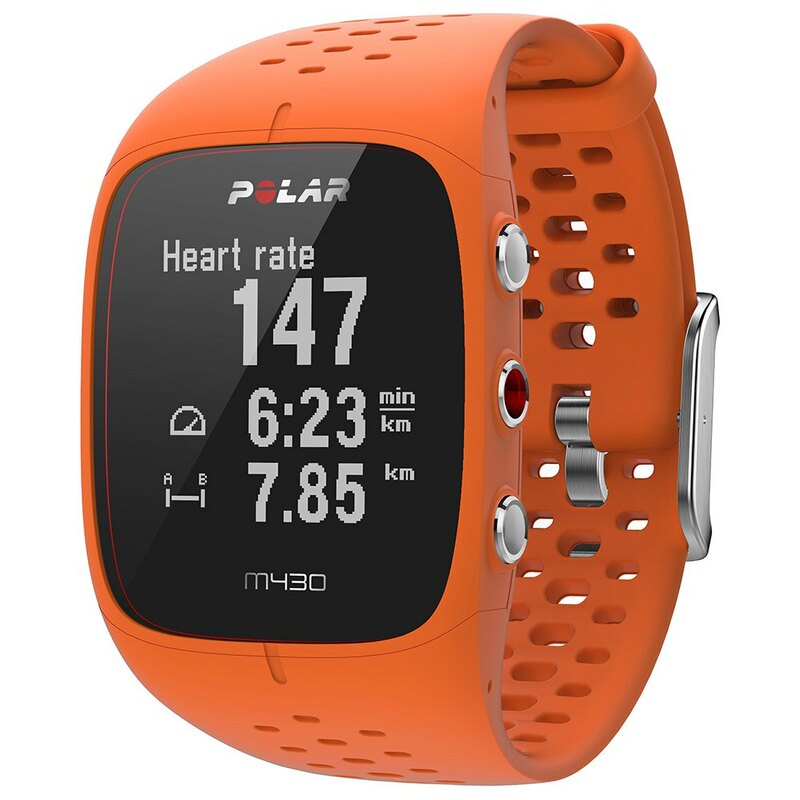 The GPS Polar M430 is a watch for the practice of cycling and running that stands out for the multitude of data it offers and the great visibility of the screen by the cyclist at all times. The Finnish brand has been inspired by the M400 model to create it, although this version adds more functions and more useful. The aesthetic is very attractive and has a fine and modern lines, with a wide screen. In short, a useful tool when it comes to improving training and performance on the bike. The biggest argument of the M430 Polar watch is that the monitor works without a chest band. This is thanks to a 6-led optical sensor on the wrist that measures in real time the heart rate during the effort. Its design is safe and the results are reliable at 100%. On the other hand, using the GPS offers real details of all your routes both running and cycling. The M430 shows your pace, distance and altitude in any outside workout. In addition, when you enter the indoor form will record the pace and miles by moving your arms. You can also know the total amount of calories burned and a summary of the aspects your body is improving depending on the area of effort, all thanks to the Training benefits. As if it were not enough, you can get an effective training plan that will improve your physical form gradually and with which you can see your progress. Besides, training is not just about running and pedaling. This includes a sleep monitoring. With the Polar sleep Plus You can see your sleep quality and night patterns, in order to get an ideal break. 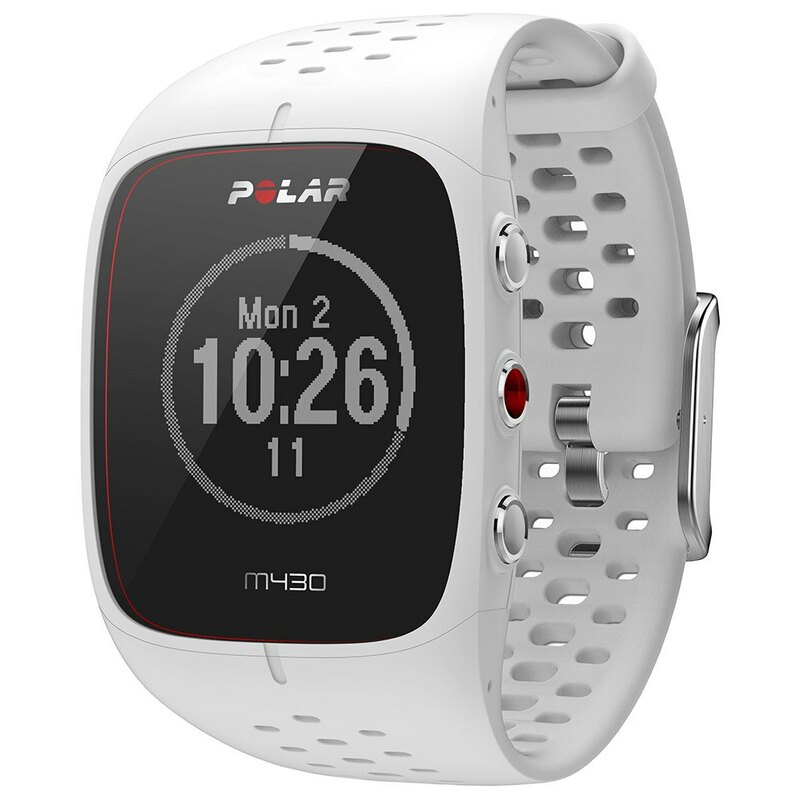 This polar is perfectly synchronized with the mobile thanks to the Bluetoothconnection, especially suitable for the polar Flowapplication. It is also compatible with other training applications. the data obtained after the sessions can be passed to the computer. 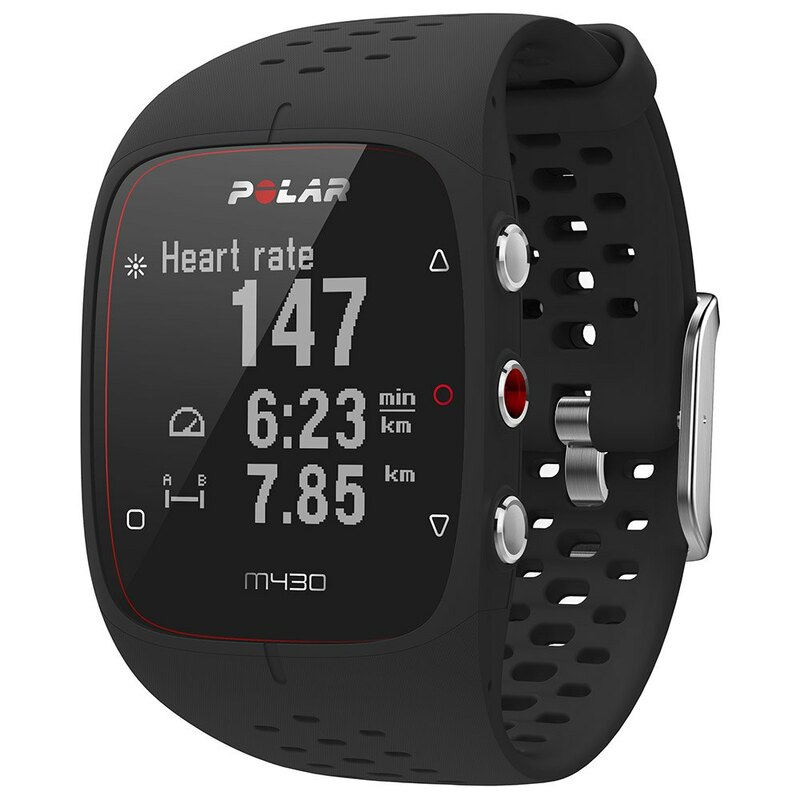 If you are a beginner or want to know your limits and areas of effort this watch includes a fitness test to measure your aerobic power. It consists of a short duration test with which you will be able to obtain a great variety of useful data like the calories consumed and the rest time between series. colors: Black-grey, white, orange (anthracite). Waterproof treatment for rainy days on bike or running. Good grip on the wrist.